Leverkusen – FC Bayern München were beaten for only the third time in the Bundesliga this season by a Bayer 04 Leverkusen side who took full advantage of the squad rotation undertaken by Pep Guardiola in view of his side's UEFA Champions League semi-final clash with FC Barcelona on Wednesday. World Cup winners Manuel Neuer, Philipp Lahm, Bastian Schweinsteiger and Mario Götze did nevertheless start the game, but goals from Hakan Calhanoglu and Julian Brandt earned die Werkself a deserved victory. Question: Philipp Lahm, no side likes to lose matches, particularly not FC Bayern, but considering you had already wrapped up the title, was this game against Leverkusen more about ensuring nobody picked up an injury for the FC Barcelona game? Philipp Lahm: Of course no player likes losing and when you go out onto the field, it's always with the aim of playing well, doing your best and winning. The most important thing this time, however, is that we've all come through the game safely ahead of Wednesday, as far as I can tell. Question: How would you assess Bayern's performance today against Leverkusen? 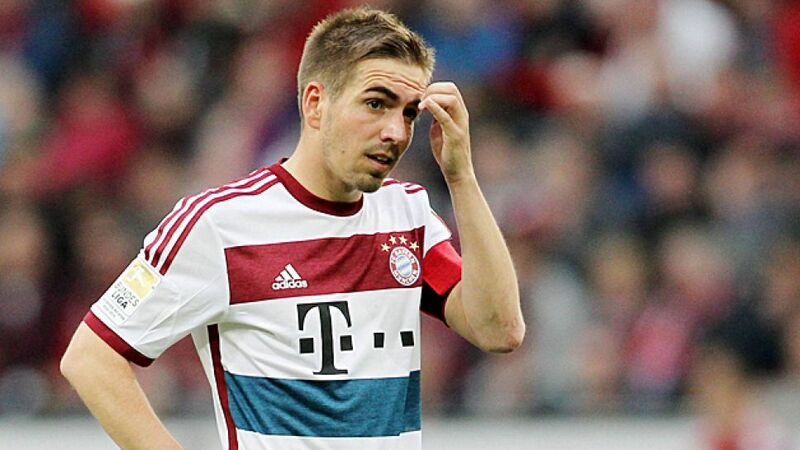 Lahm: We just weren't able to score. We had the better chances for much of the game and we had the biggest chance of the match in the first half with Mario Götze one-on-one with Bernd Leno. We had huge chances in the second half too, when we were completely alone in front of goal. That was the case on Tuesday too and it's carried on through the week, and that's not a good sign. We're probably not going to get many chances against Barcelona so we've got to take them. Apart from that, we had a new-look team with many new players on the field and I think it's quite normal that things didn't go like clockwork. Question: You've mentioned Barcelona. Three or four weeks ago, you and your team-mates would have been really looking forward to this game. Now you have so many players out injured, has that changed at all? Lahm: No, we knew five weeks ago that the semi-final would be a tough challenge, no matter who we were up against. We still see it the same way. Of course we're still looking forward to it just as much. We're in the semi-finals of the Champions League and we're German champions again since last weekend, so the anticipation is huge. Question: Do Bayern have a bit of an advantage in that many see the Catalans as favourites? Lahm: I don't know. Maybe our situation would be judged a little differently if we were playing at home first because we're very strong at the Allianz Arena. It looks a little different away, but we don't care who the favourites are. Two top teams are playing each other and that's absolutely normal in a Champions League semi-final. Question: What would be a good result? Lahm: Getting an away goal is always good, and then as a player you never want to lose.